Nonprofit development professionals are a lot like long-distance runners. They have to plan ahead, stay focused, and never give up. And even when you finish a long run (secure a big donation or complete a great campaign) you will be back to work tomorrow. That long-term work ethic is what keeps organizations going. But even a marathoner needs to be quick sometimes. Many distance runners incorporate sprint workouts into their training so they can kick it into high gear on race day. Similarly, even if you spend every day working in development, sometimes organizations need a quick boost in funds. For example, if a fire devastates a neighborhood, the residents need food, shelter, and first aid immediately. There’s no time for a soft launch to get this fundraiser started. When you don’t have time to waste at the beginning, deadlines can be a great tool to publicize your cause and motivate donors. Think of them as fundraising wind sprints. No one wants to do them all the time, but the occasional burst of speed can be exciting. If you’ve ever listened to NPR during one of its fundraising campaigns, you know they are masters of the three part deadline. They always have a specific dollar amount to raise, a time by which to do it, and a specific program that listeners’ gifts will support. The goal is to quickly communicate what this campaign is about and how donors can help – and why they need to help immediately. Pro Tip: One way to keep your appeal simple and easy to remember is to connect these three pieces of information with a common number. 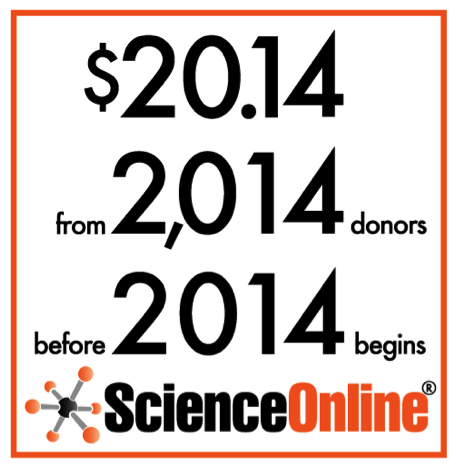 Science Online, a nonprofit facilitating scientific collaboration and communications, did just that for their most recent year-end campaign. Or take, for example, Team Rubicon’s recurring donations campaign, called Eleven11. The first Eleven11 campaign took place on Veterans Day (11/11) in 2011, and asked supporters for an $11 monthly commitment. It clearly wasn’t too difficult to remember and it made a donation commitment feel even more special on that day. Deadlines are also powerful because they give us something to look forward to and celebrate. While neglecting to set a deadline avoids the frustration of failure, it also keeps the accomplishment at arm’s length. To keep staff and fundraisers motivated throughout a campaign, your nonprofit should make the deadline visible and meaningful. You can even count down the days left in the campaign, like a fundraising advent calendar. If you have ever run in a road race, you know the thrill of finally seeing the finish line. Another smart strategy NPR uses during their fundraising campaigns is to break their overarching goal into smaller objectives. If they want to raise $12,000 in a day, they might start with a goal for the morning commute, like $3,500 by 9 AM. Meeting that first goal can set the pace for a successful day. Create momentum by realizing smaller goals, and then use each of these accomplishments to excite and motivate later donors to score the “winning goal” of the campaign. We’ve blogged in the past about how donors want to feel like they are part of a winning team. This can be a problem when your campaign is just getting started. People might be hesitant to give when you have only raised 10% of your campaign goal, but if you break up your campaign into sections you can create excitement and then appeal to them by saying you are already halfway to your short-term goal. Not only do sub-goals seem less daunting, but they allow you to set a more immediate deadline. It’s harder to tell yourself “I’ll do it later” when the deadline is only an hour away. In a 1955 essay for The Economist, Cyril Northcote Parkinson wrote “It is a commonplace observation that work expands so as to fill the time available for its completion.” While this phrase is only an adage, it is based in the fact that the deadline for a task impacts how quickly it is completed. If you have ever wasted time all week and then rushed to complete a big project the day before it is due, then you have followed Parkinson’s law. So maybe the fundraising goal for which you’ve been planning a two week campaign could be accomplished sooner. What if you decided to do it in three days? 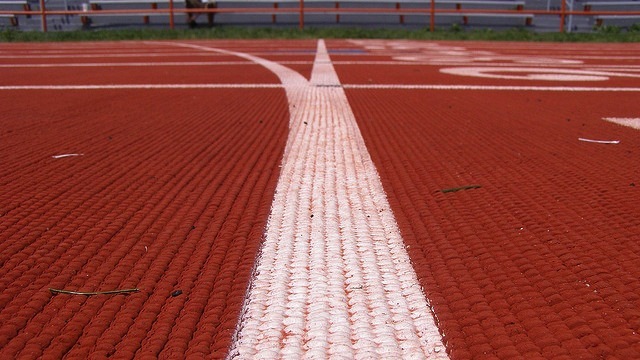 Like a sprinter before a big race, you might be nervous and you might not feel ready, but the only way to reach the finish line is to shoot the starting gun.